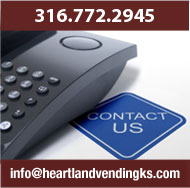 Heartland Vending Has Snacks to Feed Any Hunger! 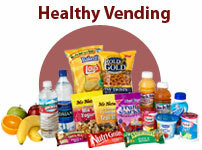 Heartland Vending stocks a huge choice of snacks from traditional chips, chips of all types, to cookies, breakfast items and even hot soup -- all available at the touch of a button. 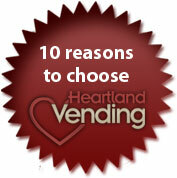 After supplying snack vending machines to the heart of Kansas for over a decade, we know what Kansans really like. We stock all the items your employees want including an exceptionally wide assortment of major name brands you, your employees, and customers love. Of course, snacks aren't necessarily the same as they were 20 years ago. Now we offer a delightful range of Healthy Snacks and Food Items. You'll find Healthy Snacks perfect for staying well and feeling great after every meal.